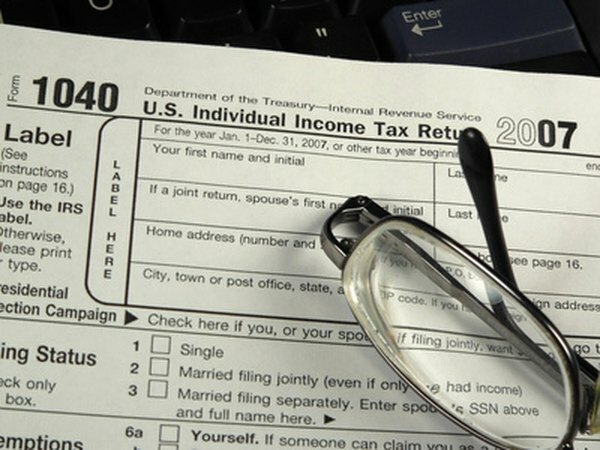 You must use Form 1040 to deduct your self-emplyed SIMPLE IRA contributions. 2. Can Married Filing Separate Contribute to a Traditional IRA? 3. Can You Contribute to Both 401(k) & Roth IRA? If you're self-employed, it's up to you to set up your own retirement plan. Using a SIMPLE (savings incentive match plan for employees) individual retirement arrangement allows higher contribution limits than either a traditional or Roth IRA, though a Roth gives you a higher tax deduction. In addition, you can make an "employer" contribution because when you're self-employed, you're considered both the employer and employee. You can't deduct your own contributions on Schedule C because you are not allowed to use them to reduce your self-employment taxes, only your income taxes. Calculate your maximum SIMPLE IRA contribution by adding 3 percent of your net self-employment income, up to the annual maximum income inclusion, to the smaller of the annual contribution or your self-employment income. This will let you figure your maximum SIMPLE IRA deduction. As of 2012, the annual income inclusion limit is $250,000 and the annual contribution limit is $11,500 ($14,000 if 50 or older). For example, suppose you have $100,000 in net self-employment income and are 55 years old. Your total contribution would be 3 percent of your income, or $3,000, plus the annual contribution limit of $14,000, for a total of $17,000. Contribute to your SIMPLE IRA before your tax filing deadline, including extensions. For example, if you want to deduct the contributions for the current year, you must contribute before April 15 of the following year or, if you've filed for an extension, Oct. 15 of the following year. Report your deduction on line 28 of your Form 1040 tax return. For example, if you contributed $10,000 to your SIMPLE IRA, report a $10,000 deduction on line 28. If you use a SIMPLE IRA and have any employees, you must also make matching contributions on their behalf. SIMPLE IRA contribution limits are cumulative with other qualified employer plans, such as 401(k) and 403(b) plans.